The practice of the yoga is of very high importance and can have a huge beneficial effect on the whole entire body. Poses not only strengthen and tone the muscles, tissues, ligaments, joints and nerves but also maintains the smooth functioning and health of all the body’s systems. These are the respiratory, circulatory, digestive, and hormonal systems. The postures relax the body and mind allowing both to recover from fatigue and weakness, a product of the stresses of daily life. It also helps to re-energize your energy levels and helps in your everyday levels of enthusiasm. You will find that your sleep will improve and that you may even need less time to sleep as your rejuvenation levels and abilities will improve. 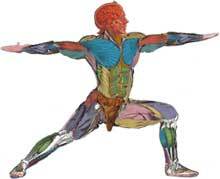 Yoga poses also boost the metabolism, lymphatic, circulation and hormonal secretions. It also helps bring about a chemical balance within the body which is crucial for everyday living.. It is important to keep practicing throughout your life, look to adopt this practice into your weekly schedule. Look to understand the poses until you are, absolutely comfortable with it’s dynamics and then really turn up the intensity. It is then that you experience the full benefits of the pose.